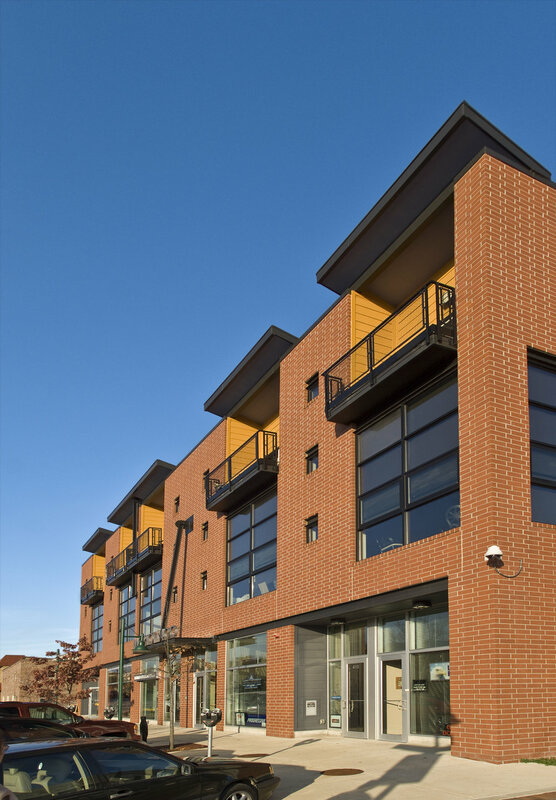 The Morton 400 apartment and commercial building includes five two-story luxury apartments situated over high bay commercial spaces. Tall ceilings and windows characterize the design and provide a dramatic residential setting overlooking Bloomington's City Hall plaza. 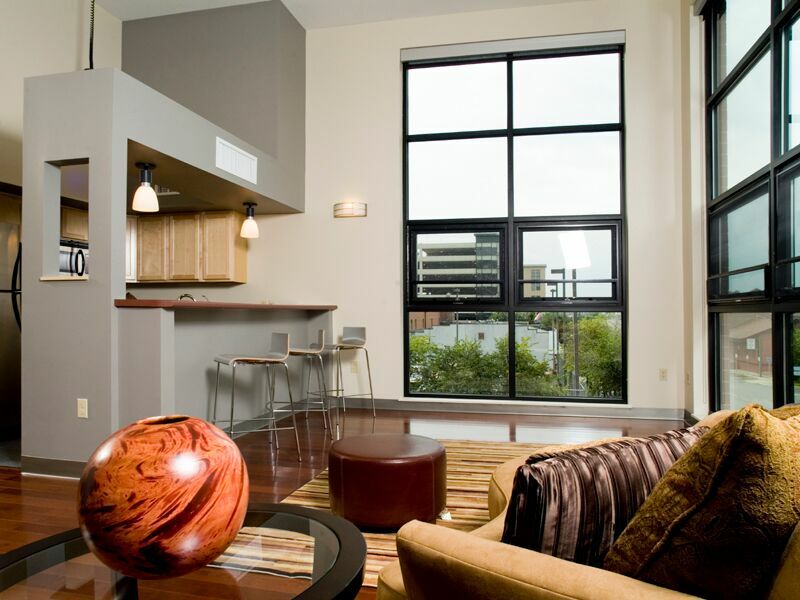 Each apartment includes a large open living/dining/kitchen loft area. On the upper floor two bedrooms, each with a spacious private bath, open onto outdoor terraces offering views of the city.